Friday we made the short drive from McMinnville to Portland (about an hour normally), with a couple of stops along the way at the Evergreen Aviation and Space Museum to see the Spruce Goose, and at our favourite Willamette Valley winery, Brooks. We had a lot to fit in today, so we were up and at it pretty early. We had breakfast in the hotel restaurant, which is as equally unique as the rest of the hotel. Breakfast was good, and then we settled up, packed the car and hit the road. Our first stop was the Evergreen Aviation and Space Museum, just outside of town. 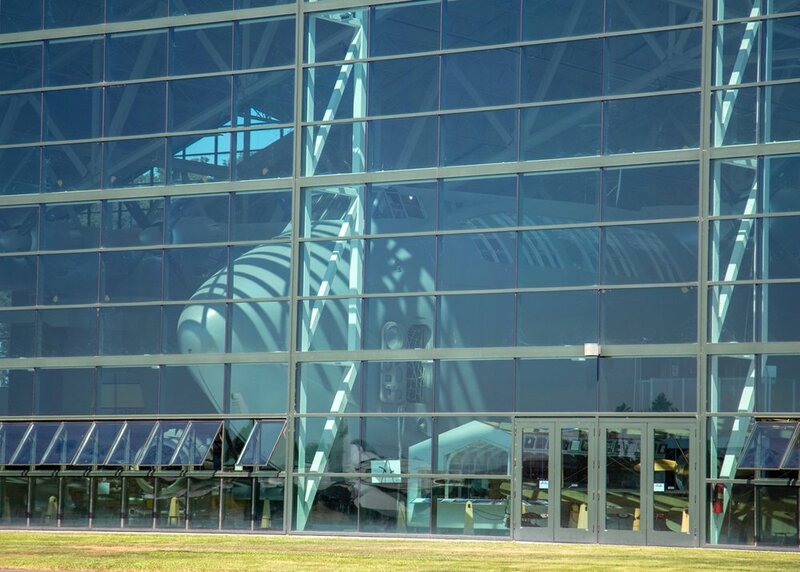 The Spruce Goose - the biggest plane ever built, and the reason we wanted to see the Evergreen Air and Space Museum. I had seen the place a few times, and since we were here for the day figured it was worth checking out. Evergreen International Aviation was a charter/freight airline that went bust in the mid-2000s, but the managed to do well enough to create a huge Aviation and Space Museum. 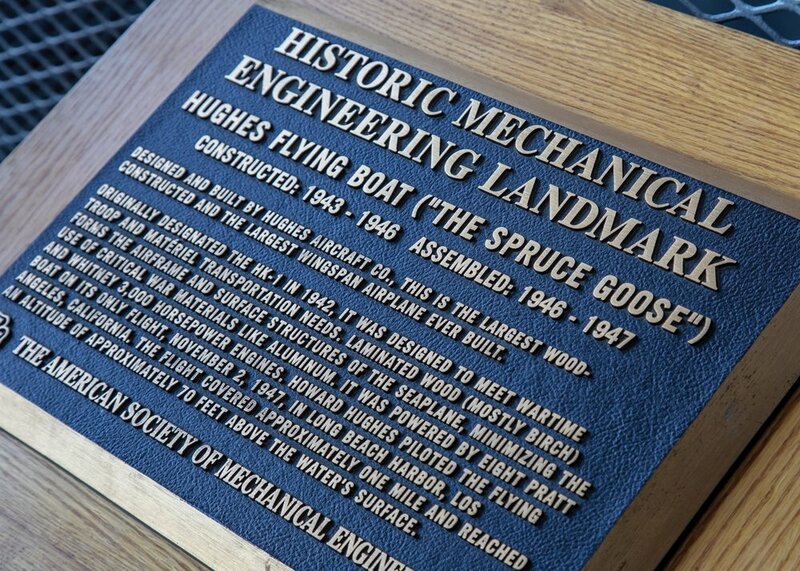 The star attraction is the Hughes H-4 Hercules, also known as the Spruce Goose - the biggest plane ever made. The facility ia huge and made up of 4 buildings - the Aviation Museum with the Spruce Goose as the main attraction; the Space Museum with a Titan II Missile fully assembled as well as an SR-71 Blckbird; an IMAX theater and a water park. We didn’t do the last one, but they parked a 747 on the roof and made it part of the waterslides! Seriously - the waterslides come out of the 747 on the roof of the place. We spent the first part of the morning in the Aviation Museum. The Spruce Goose is incredible to see - it’s hard to believe the thing ever got off the water. The little movie was quite interesting, as it gave a lot of the background and some vintage footage of the test flights. They wanted another $30 a person to go into the cockpit of the plane, so we had to settle for just looking around the cargo hold. Still, it was pretty impressive. They had a ton of other planes and helicopters in the museum as well. And we spent quite a while walking around. 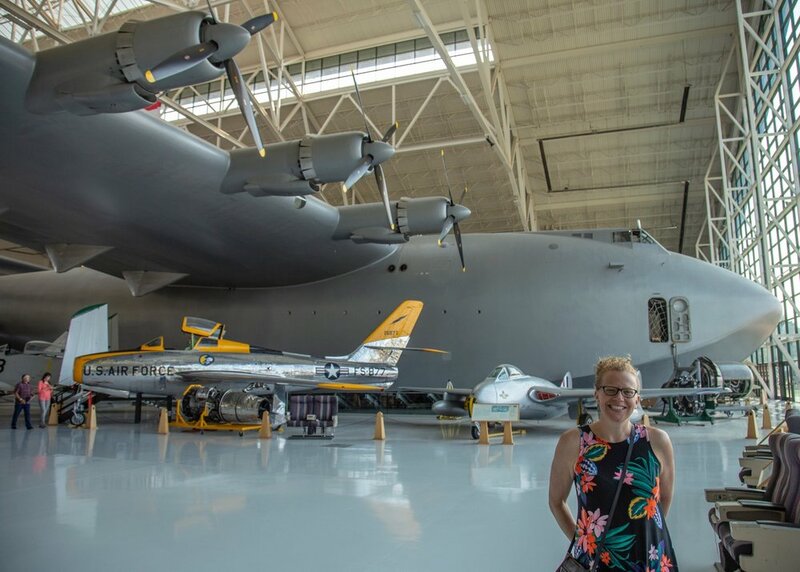 Justine and the Spruce Goose. 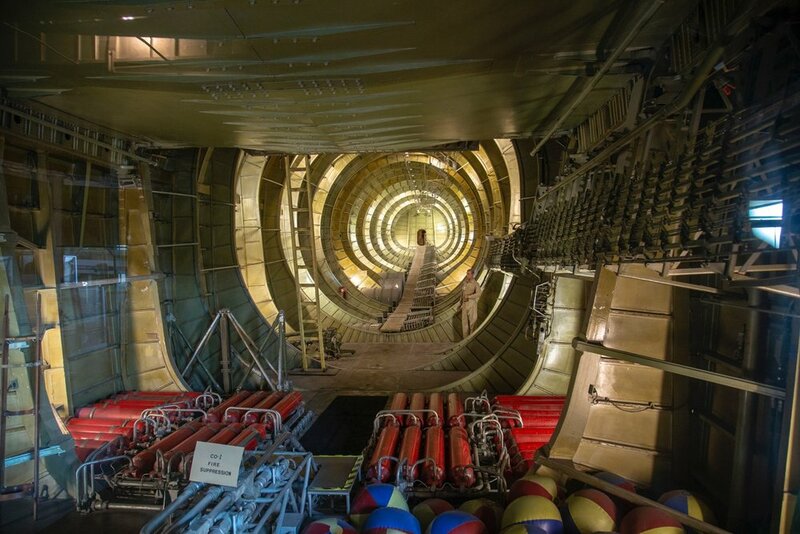 The inside of the flying boat. After exhausting the Aviation side, we headed over to the Space Museum. 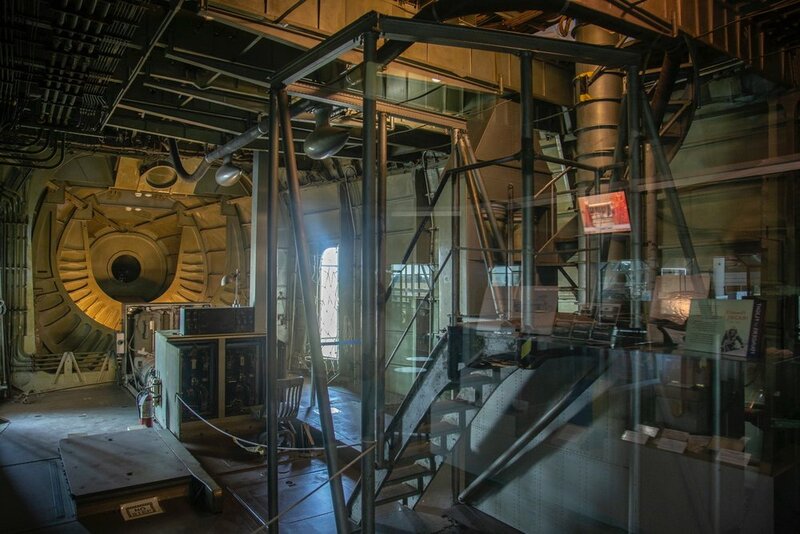 We took a quick look around, focused on the Titan II and the SR-71 Blackbird. We had tickets for a movie at 11:00, so we headed over to the IMAX theater and watched a movie of James Cameron doing his exploration of the Marianas Trench. It was super-cool, but freaked Justine out a bit. After the movie, we headed back over to the spend more time in the Space Museum. They had a good display on the Space Race, and some interesting space vehicles - both real and replicas. We spent another hour or so checking out the exhibits, before heading out. The SR-71 Blackbird - possibly the coolest plane ever made! An unmanned drone from the ‘60s. I had no idea they were doing drones that early. Our next stop was at Brooks Wine, our favourite winery in the area. The have a great tasting room, so we made the short drive up and sat in their tasting room. We each had a flight of wine and we ordered some lunch loooking out over the vineyards. It was a very relaxing way to spend the afternoon. We picked up a few bottles of rose, and then made out way back to Portland. Of course, but this time the traffic was getting bad, so we had a slow drive back. we had rented an AirB&B close to our favorite part of the city, and after getting there we quickly got settled in. The little apartment was nice - perfect really for what we needed - and an easy walk to the breweries we like to go to when we’re in Portland. We ended up doing a tour of the couple of places we like to go to - 10 Barrel Brewing and Rogue but we didn’t make too late a night of it.